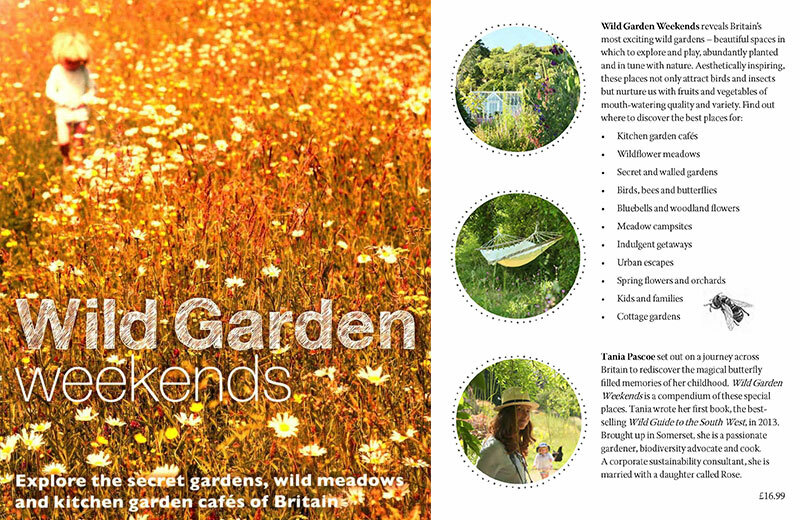 Home › News › We’re featured in Wild Garden Weekends Book! We’re featured in Wild Garden Weekends Book! We’ve just discovered that Horsleygate Hall has been featured in Wild Garden Weekends Book which is a truly beautiful publication with stunning photography and illustrated maps, Wild Garden Weekends – the first guidebook of its kind – recommends nearly 400 of the best secret gardens, wild flower meadows, kitchen garden cafes and the most enchanting places to stay. Author Tania Pascoe, Foreword by Sarah Price, Chelsea Gold medal-winning garden designer and designer of the 2012 gardens at the London Olympic Park. Wonderful website: www.wildthingspublishing/products/wild-garden-weekends-book – has an interview with Tania and you can see the whole beautiful book on line to have a preview of your new must-have book for your coffee table. Horsleygate Hall is featured on page 238 !